We all know that customer retention is vital for e-commerce and omni-channel sellers. But what’s new? 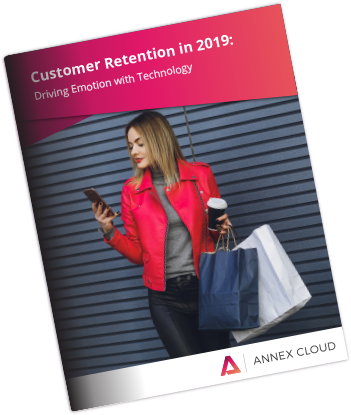 In our white paper, Customer Retention in 2019, we discuss new ways of envisioning retention strategies. We consider the emotional ideals that buttress loyalty, and dissect how to optimize e-commerce customer retention through our advocate loyalty framework. Examine the four key stages and four fundamental emotional goals of retention and loyalty. Delve into more than 20 real-world examples of businesses that drive trust and confidence with technology. Explore the latest innovations in the realm of retention and learn how to triple your loyalty program revenue.